SCEEP brings energy saving projects and programs to government facilities, homes, businesses, and individuals throughout the south county. Through the SCEEP partnership, local municipalities are saving energy and money as their facilities are updated and improved. To date, local municipalities have completed energy projects on their own facilities that save over $500,000 annually. These projects save over 4,000,000 kwh each year, which is enough energy to power 378 homes annually.Through the SCEEP partnership, participating municipalities receive monetary incentives for kilowatt hour savings, which makes investing in energy efficiency easier for local cities and Santa Barbara County. Through Santa Barbara County’s empower program, over 9,000 residents have received energy education, advice, referrals, and assistance. Empower serves to help homeowners countywide overcome obstacles to making energy saving improvements to their homes through the central coast empower program. All of SCEEP’s partner municipalities are served by empower Central Coast. The Green Business Program of Santa Barbara County (GBPSBC) is part of the California Green Business Program, a network of local programs operated by counties and cities throughout California. The GBPSBC provides resources and assistance to businesses wanting to be green, certifies businesses through workshops and trainings, on-site visits and evaluation, and highlights Certified Businesses so that local consumers can shop green. 96 businesses have been certified in the South County, with annual energy savings estimated at 1.1 million kWh. The Green Business Program serves all of the municipalities in the SCEEP partnership, as well as North Santa Barbara County cities. The SCEEP partnership hosts educational events, energy efficiency training seminars, and community gatherings throughout the year. SCEEP hosted a booth at The Community Environmental Council’s annual festival to celebrate Earth Day on April 21st and 22nd, 2018, with over 30,000 attendees. SCEEP held a raffle to give away 5 Smart thermostats. 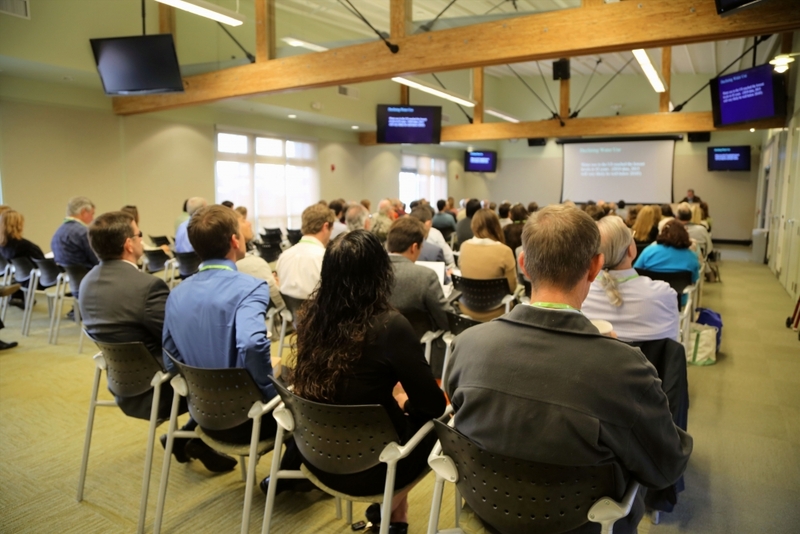 An annual event held at UCSB that brings together elected officials, staff, faculty, and interested parties from local governments and organizations to discuss common sustainability issues, share best practices, and seek partners. The 2018 Summit on October 11th was co-sponsored by SCEEP, and featured presentations on Building Electrification, sustainable transportation, energy storage, and other sustainability measures. SCEEP hosted a Title 24 Updates training on November 16, 2018. The 2019 building codes are more stringent than prior versions, intending to slow the growth in demand for electricity and natural gas in California.